Hello everyone! Sean here to welcome you back to our Holiday, National Stamp & Scrapbook Month!!! It’s Day 5 of 28 days of giveaways and I am super excited to celebrate with you! 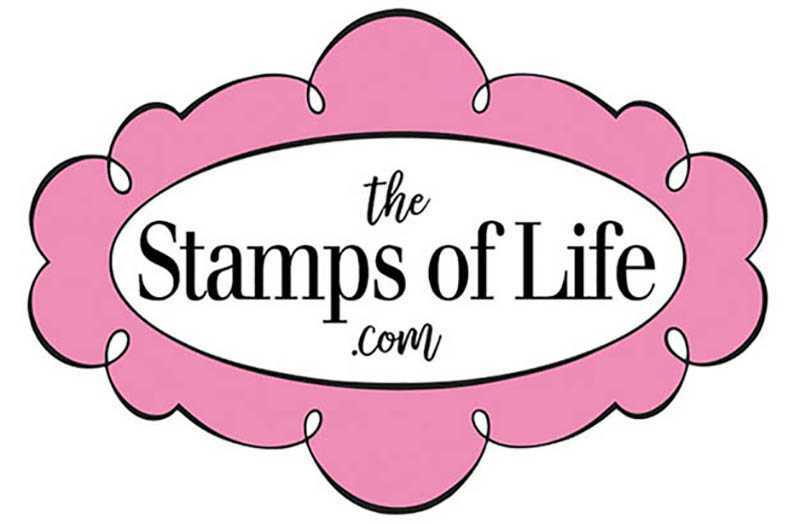 For our next sponsor we have an awesome prize from The Stamps of Life! Don’t forget to leave your comment on today’s blog post for a chance to win. One winner will be randomly chosen!!! The Stamps of Life (TSOL) was started in 2009 on a dare and a prayer! 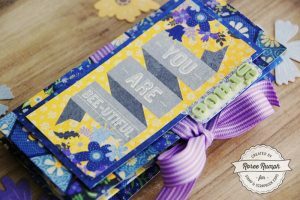 Beginning with clear stamps, made in the USA, and growing to include dies, inks, paper and embellishments each designed to make card making creative and fun. The Stamps of Life offers exclusive new releases to their monthly Stamp, Die and Card Kit Club members. 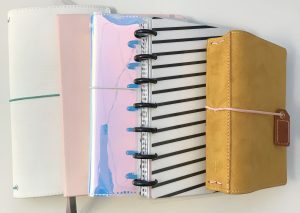 Stephanie Barnard leads the team as owner and operator of TSOL and in 2018 launched her creative products on HSN. Fueled by Diet Coke and a love of connecting with her customers, Stephanie will visit over 26 cities in any given year teaching and inspiring card makers everywhere. The Stamps of Life exhibits at consumer shows and teaches a very popular workshop at most events! At the core of The Stamps of life product line are there Clubs! And they are proud to offer a club perfect club for everyone! Stamp Club Members receive a NEW 4×6 stamp set each month! Only $11.95 includes Free shipping! 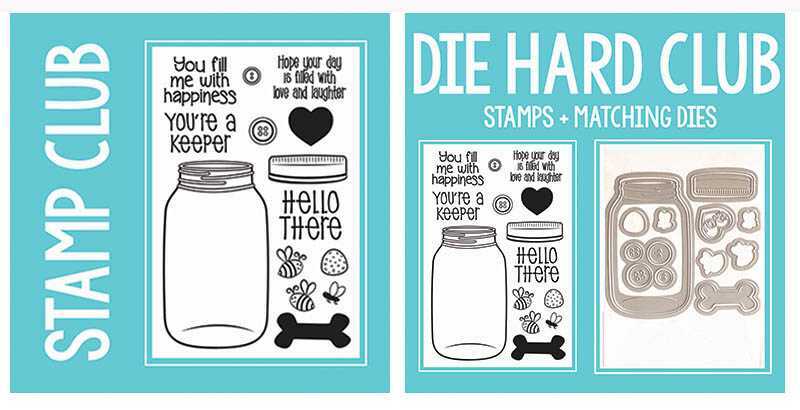 Die Hard Club Members receive a 4×6 stamp set PLUS matching dies! Free shipping! The Stamps of Life also offers a Monthly Card Kit with the very best quality card making supplies! 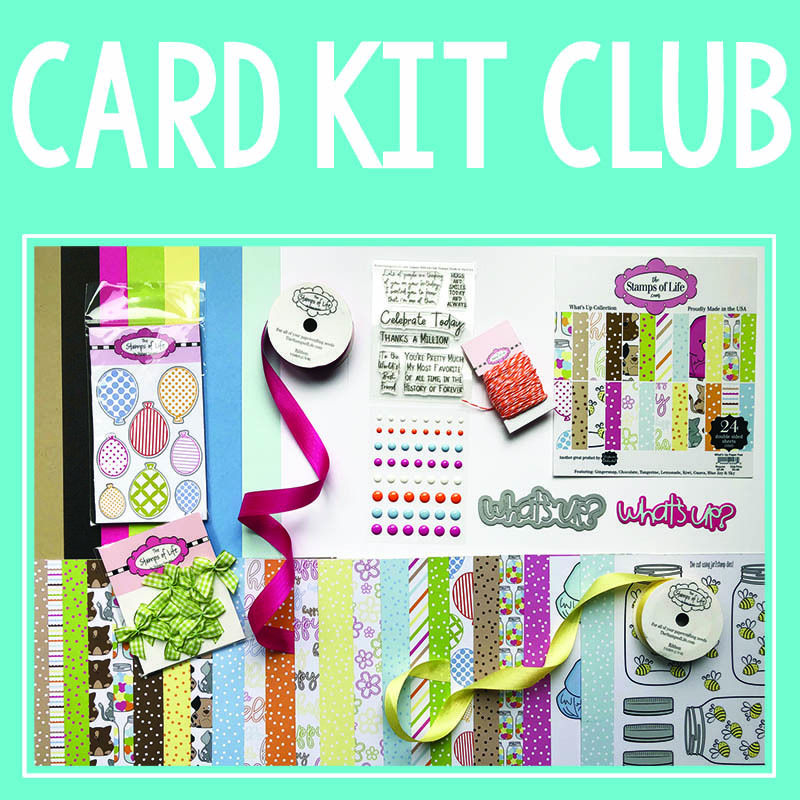 Kits are all color and theme coordinated to make creating fun and easy! Free Shipping! * FREE stamp set for joining! Learn all about The Stamps of Life Clubs by clicking here! If you’ve attended any of our Stamp & Scrapbook Expo events, you’ve probably seen The Stamps of Life there. They sell the most adorable stamp sets with matching dies!! I’m a HUGE fan of their Die Hard Club myself!! The Stamps of Life will be sending one very lucky winner this amazing prize to shop shop shop!!!! 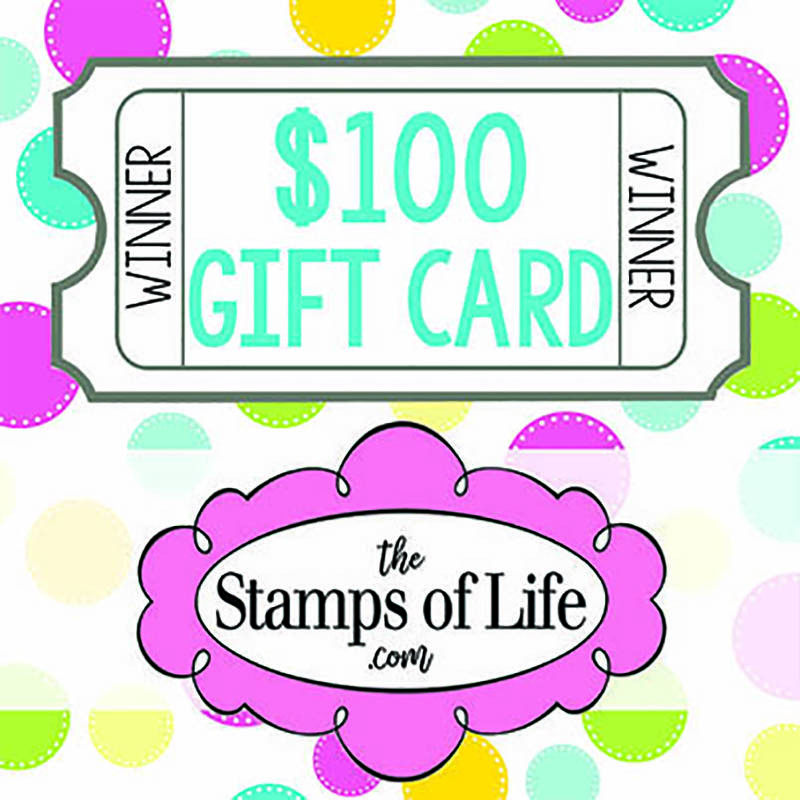 While we are waiting to see who the lucky winner is, you can hop on over to The Stamps of Life social media channels. You’ll find TONS of inspiration there. 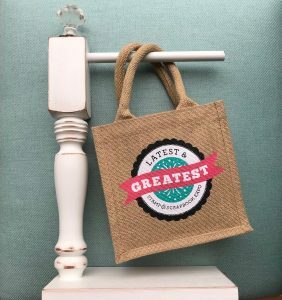 Please visit their website, TheStampsofLife.com to learn more, sign up for their newsletter and find out when they will be visiting your area! This entry was posted in National Stamp & Scrapbook Expo Month and tagged 12x12 layouts, Card, Card making, Card-making, Cardmaking, cards, Die cuts, DIY, Embellishments, Embossing, Giveaway, Mixed Media, Scrapbook Expo, Scrapbooking, Stamp & Scrapbook Expo, Stamping, Stamps, Stamps Of Life. What a great prize. TSOL is one of my very favorite companies for stamps, dies, kits, and more. I would love to win this prize, I could get some of the items on my wish list. Thank you for the opportunity. Have a great day everyone! Stephanie has the cutest and coolest stuff! Hadn’t heard of the Die Hard Club before but am quite intrigued now! TSOL always has the most fun products! Amazing! Thanks for the chance to win! Saw some really cute stamp and die sets. Thank you sponsors and expo for the opportunity to win. I do love TSOL stamps and dies. I have some, but more would definitely be welcome! How fun it would be to go on a shopping spree! Wow, what a great kit! awesome prize. would be so happy to win. Good luck everyone! How awesome would it be to add a boatload of Stamps of Life to my satsh?!! Thanks!! What an amazing prize! Could think of soooo many things I would love to have! Such an awesome prize!! Who doesn’t like this gift!! Love it! Ohhh – that’s a lot of shopping fun! Great prize, thank you Stamps if Life!! What a wonderful prize, love the products. Wow!! I could do some serious shopping damage with this prize!! Great prize from The Stamps of Life! Thank you! Me, me, me. Pick me. What a great prize. Oh I would love the opportunity to shop shop shop with Stamps of Life! Thanks so much for the chance to win! Super! Who doesn’t like to shop? Thank you for this generous prize! I love visiting your booth at the shows! I would love this, thank you. The Stamps of Life stamps and die cut sets are great for cardmaking and it’s wonderful to have photos of sample cards included in each set! Great prize, Stephanie! TSOL is new to me. Looks nice! I got to check this company out! I got they will be in California’s expo this year . Thanks for the winning chance. How fun.! The stamps of life have a very unique look to their products. Can’t go wrong with stamps of life! Awesome! What a great prize. Love your products.